Baylor School of Education graduate Dr. Jessica Meehan won the 2014 John Laska Distinguished Dissertation Award in Teaching from the American Association for Teaching and Curriculum (AATC) for her work done in the School of Education. Meehan’s dissertation, Castañeda v. Pickard, The Struggle for an Equitable Education: One Family’s Experience with Resistance, focuses on the 1978 trial and 1981 appeal of Roy Castañeda’s case against the Raymondville Independent School District alleging racial segregation in the classroom and a lack of proper English Language Learner programs for his children to succeed in school. Meehan said she wanted to bring awareness to the neglected history of Mexican Americans. Her research included interviewing the Castañeda family about their experiences in their lawsuit and other English Language Learner program difficulties. Dr. Betty Conaway, professor in Curriculum & Instruction, chaired Meehan’s three-year research that culminated in the dissertation and was a part of the department team that nominated Meehan’s dissertation. As a result of the lawsuit, the Castañeda family helped to set up much-needed protections for bilingual education programs in the Rio Grande Valley school districts and eventually across America using a three-pronged test to set standards in accordance with the Equal Education Opportunities Act of 1974. Dr. Brooke Blevins, assistant professor in Curriculum & Instruction said, “What I find most remarkable is that Jessica was not only able to shed light on the history of an extraordinarily important case in ESL education, but she was also able to help the Castañeda family understand the impact of their work on thousands of children across the nation.” Blevins worked in the department during Meehan’s research and attended the award ceremony for her dissertation. 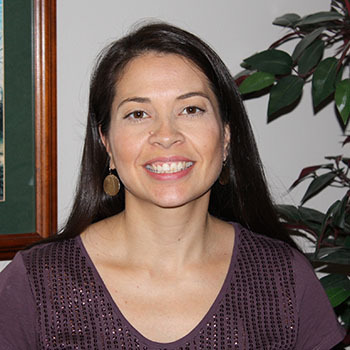 Meehan currently works as an Assistant Professor in the College of Education at Tarleton State University, where she teaches literacy and ESL/Bilingual Foundations classes. After working in Waco ISD, Meehan decided she wanted to pursue a master’s degree in education. Meehan received her MSEd in 2008 and her EdD in 2013 in Curriculum & Instruction at Baylor’s School of Education. “Baylor did an excellent job of preparing me for a career in higher education. Through the program I had the opportunity to teach, monitor field experiences and conduct meaningful research. I had wonderful mentors that encouraged me to pursue my interests and that supported me throughout my doctoral requirement,” Meehan said. Conaway said that the department had two exceedingly wonderful dissertations last year and that the John Laska Distinguished Dissertation Award in Teaching from the American Association for Teaching and Curriculum is a very respected award for Baylor’s Curriculum & Instruction Department. Two Baylor School of Education faculty members have previously won Laska Awards. Blevins received the Laska Dissertation Award in Teaching in 2013, and Dr. Wesley Null, vice provost for undergraduate education, received the Laska Dissertation Award in Curriculum in 2002.